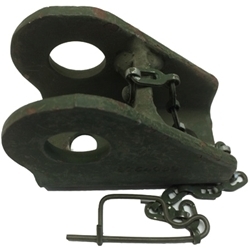 M151, M151A1 & M151A2 Front & Rear Shackle Bracket. These are used on all models of Mutts. They do include the chain and clip for the pin.